Gliding. We love it. High up in the sky like a bird, with no engine noise and apart from the sound of the wind rushing past, there’s an eerie silence as you soar and swoop, grabbing the thermals and exulting in the fantastic views. So if you’ve not tried your hand at it before, then this is your chance. 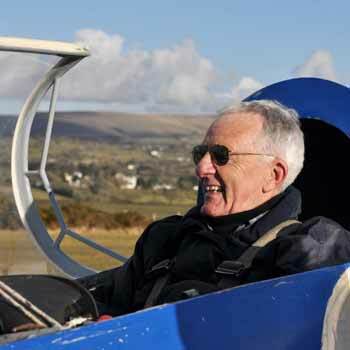 Take to the air, take the controls yourself, and before you know it you’ll be hooked on gliding. 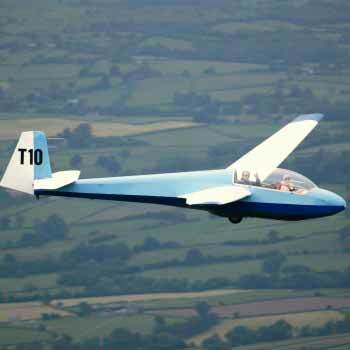 A glider is just like a very small light aircraft, but with no engine. As its name suggests, it slips gracefully around through the air, rising on hot air currents and gently working its way back to land. How does it get airborne then? 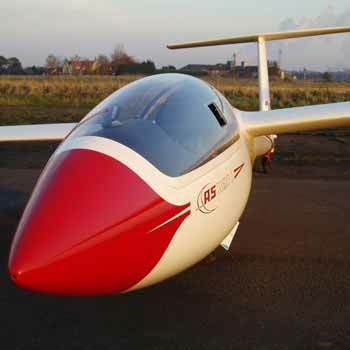 There are two ways of getting this wonderful aircraft into the air for its unpowered flight. The first and the original and oldest way is called an “aerotow”, where your craft is attached to a cable towed by a regular airplane, which flies into the air towing you behind it. 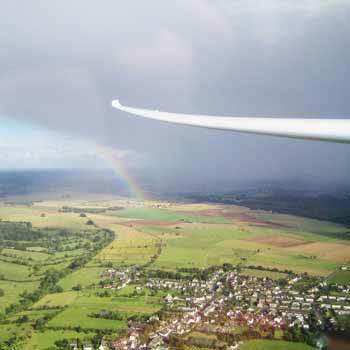 At a suitable height, normally about 1,000 or 2,000 feet, the cable is released and the glider is free to glide on its own. 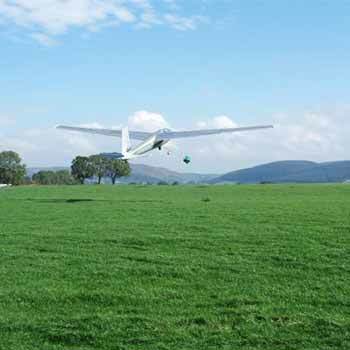 The second, and more modern way of launching a glider is known as a winch launch, where a powered winch operates, pulling the glider on the ground at ever-increasing speed, making it take to the air. And again, at around 1000 or 2000 feet, the cable is released and you’re on your own. Which is better, aerotow or winch launching? It’s all a matter of preference really. There are those who swear by one way or the other, but each launch method has pros and cons. Aerotow to start with is usually more expensive, as you’ve got the cost of the airplane to tow you. It takes longer between launches as the airplane needs to line up with you, the pilot needs to carry out the normal checks and procedures associated with flying a plane, and so you’ll get less flights in the day. On the other hand, an aerotow can take your glider far higher before releasing if that’s what you want. 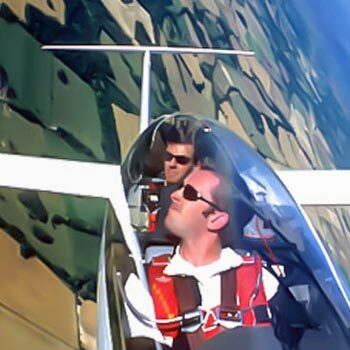 Normally, aerotows release at 2,000 feet, but a few gliding experiences take you higher than that, giving you a different experience and more time in the air – since time in the air depends to some extent on what height your cable release occurs. Winch launching is normally cheaper and quicker, since you manoeuvre the glider in place, hook it up to the winch, and you’re set. Winch launches are limited in the heights they can launch you to, but the normal release height is the same for both at about 2,000 feet, so unless you want one of the special glide higher experiences, it won’t make any difference to you. We’ll use either method provided it gets us into the air, but on balance we prefer the winch launch. It’s a great feeling being winched at speed into the air, there’s minimal messing about to get started, and if you’re spending a whole day gliding, then you get more launches in. Can I glide in the rain? 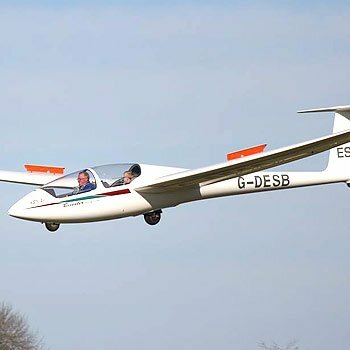 Modern gliders are pretty resilient, and although severe weather will have you grounded as it grounds any aircraft, you don’t need the absolute best of weather to enjoy your gliding experience. Though in hotter weather, you’ll tend to stay in the air for longer at a time due to the abundance of thermal air currents (“thermals”) that gliders depend on for height. 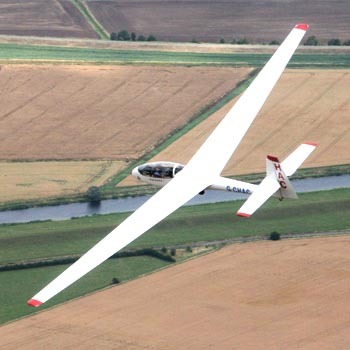 The average flight in a glider takes roughly 20 minutes. 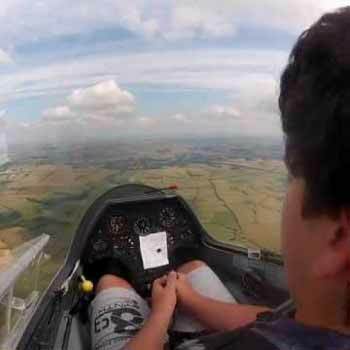 What happens on a gliding experience? 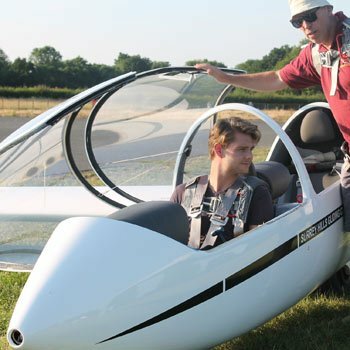 On all gliding experiences, you’ll start with a safety briefing and an introduction to the glider. You’ll be accompanied by an experienced instructor at all times, and depending on the model of craft, sit one in front of the other, or side by side. You’ll get airborne wither by winch or aerotow, and the instructor will demonstrate how to fly the machine so that you can take the controls and try it for yourself. 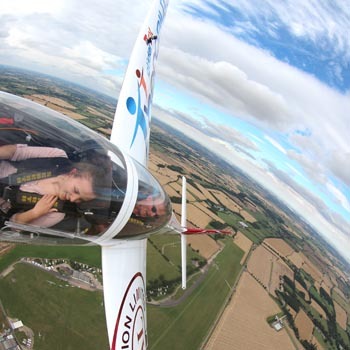 Believe us, the sensation of soaring flight is like nothing else you’ve felt so don’t be surprised if your first gliding trip isn’t your last! After landing, if you’ve bought a multi-flight experience, you’ll be able to launch again, though obviously the multiple launch and whole day experiences do cost more than the single trips. 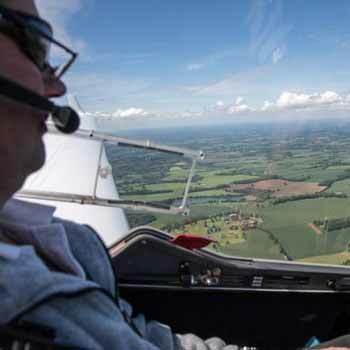 We’d recommend a half or full day flying experience with several launches, as the odds are you’ll love it and want to get airborne again after the first one. And besides, since you’ve gone to all the trouble of travelling to the gliding field, you may as well make the most of it while you’re there. So if you can afford more than just the single flight, you’ll be glad you did. This is a very popular pastime, and so there are facilities up and down the country. There are a lot of them, so the chances are there’ll be one near you. Just check out the individual experiences below. 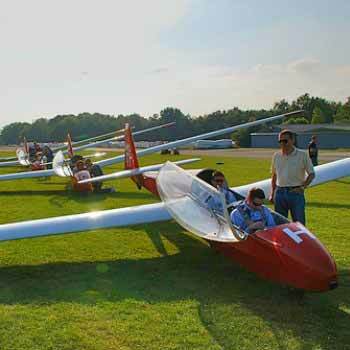 We’ve pulled together for you all the gliding experiences from the top experience providers. These are the ones we know and trust and would recommend to give you a first class experience and value for money. 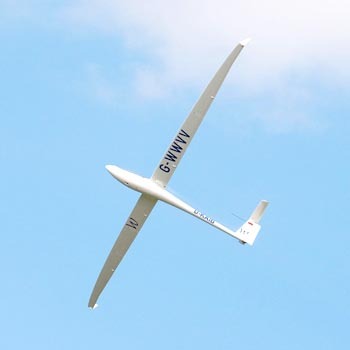 Our real time price checker also gives you the most up to date prices, so you can compare prices on gliding sessions and know you’re getting the best price. You’ll also be the first to see any special offers. So simply look at the full list above, pick out the ones you fancy and click through to check out the detail of location and what you get on your experience day. And when you’re happy, you can buy there and then knowing you’ve got the best value. 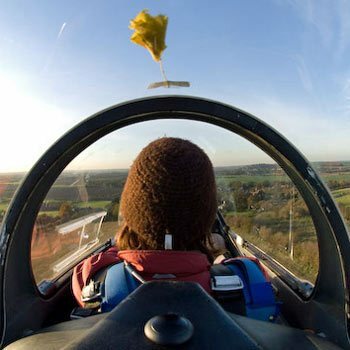 And remember, we’re sure you’ll love gliding yourself, but why not give this experience as a fantastic original gift idea? There’s bound to be someone you’ve to buy for who’d just love to take to the air and soar like an eagle. 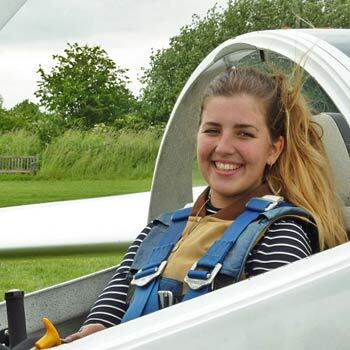 Gliding experience – take a gliding lesson4.5Sarah FirminGliding experience – take a lesson in a glider and fly like the birds. Aerotow or winch launch, it’s a great flying experience.